Enjoy the following detox reviews, and be sure to add yours at the bottom of the page! "I have a heightened sensitivity to metals and mercury poisoning was a regular occurrence in my life. Just one tuna sandwich too many, or a big night of sushi, and I would find myself vomiting violently for 8-10 hours, with severe stomach cramping and dehydration. 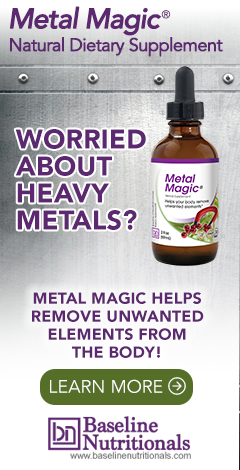 I stepped through the full heavy metal detox Jon suggests and used Metal Magic. I've only done it twice in a year and a half and haven't had a single occurrence since the first run of the detox. I continue to be careful about the metals I put into my body, but I am finally able to enjoy a nice fish dinner without fear of being deathly ill the next day! I also immediately noticed that my mental clarity, my energy levels and my zest for life rose to new levels. Thank you so much Jon!" "After my BIG mercury filling started to leak, I had memory problems, metal taste in my mouth and really weird sensations. I took your advice about making a Cilantro Pesto (before I got the Metal Magic product) Great Advice!" "I used to get headaches, but not anymore! As soon as I started doing the heavy metal detox, I could feel something 'new' going on inside, almost as if I could feel the metal deposits in my body being eliminated. There's an energy signature with this detox that creates a new flow of energy. It's made me feel really good. I'm impressed with this detox and highly recommend it to others. You've got my business!" "I was diagnosed with Stage III Ovarian Cancer in September of 2008. I had surgery done at Johns Hopkins Hospital in Baltimore on September 15th. Since I am a Canadian citizen, I went back to Canada to get my treatments. Needless to say I was completely shocked to find out the only treatment offered in Canada is full dose chemotherapy - and that means chemotherapy with NO testing to find out which chemo drugs are appropriate for your particular cancer and no testing to find out how you react to that toxic treatment. So I began my search to find an alternative treatment that was effective in killing the cancer cells but not killing me in the process. I am now in Scottsdale, AZ taking treatment known as IPT - which is a targeted low dose chemo treatment that works to build your immune system while targeting and killing the cancer. They use tumor markers to find out how much cancer is in your system. Two weeks ago I found Baseline's products and started taking the Blood Support, Immunify, Metal Magic, and Colon Corrective. My tumor marker has dropped 11 points or 40%. It went from 38 two weeks ago to 27 today. The average range for normal is 30-65 so I am now officially below normal. Of course I need to stay on target with my treatments but I can tell you for sure that I will be continuing the Baseline Nutritionals products as well. I am telling everyone about your products. Thanks so much for the boost of confidence and hope."